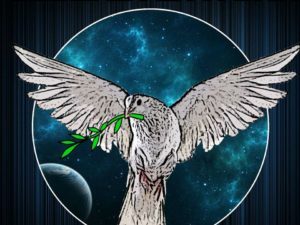 Below is a slightly abridged version of remarks by Workers World Party presidential candidate Monica Moorehead to the nominating convention of California’s Peace and Freedom Party on Aug. 13. Peace and Freedom has a history of showing solidarity with those for national liberation and for socialism. Your party selected Eldridge Cleaver, minister of information for the Black Panther Party, as your first presidential candidate. That was a tremendous act of solidarity that Peace and Freedom should be proud of. Why do Marxists run in the elections? We know that elections are not impartial. Elections are not fair. Bourgeois elections will not and have never changed the fundamental conditions of the our class — the workers and oppressed peoples. Marxists, however, use every arena of struggle at their disposal to push forward the revolutionary struggle, including the electoral arena. 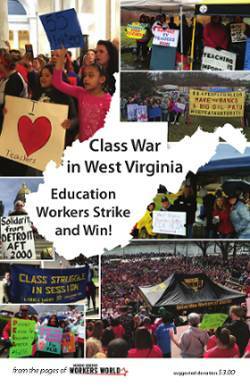 Workers World Party has a set of demands to help give a voice to our class, which has been silenced by the bourgeoisie. 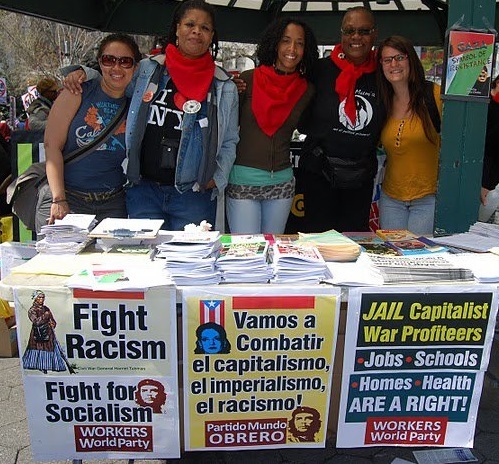 But just as important, WWP uses these elections to help provide an orientation to the revolutionary movement based on the present-day social conditions. I think it bears repeating that we must not allow the movement to get stampeded into supporting Hillary Clinton and the Democrats. I distinguish “the movement” from the larger working class. The movement to me means the politicized activists who at least on some level understand that the primary purpose of the Democratic Party is to limit the militancy and political independence of the mass movement of workers and oppressed people by ultimately trapping our movements inside the Democratic Party, which means rendering our movements subservient to the political, repressive organizations of capitalism. Our concern before the elections need not be arguing with the tens of millions of immigrant workers, or African Americans, or other sections of the working class that are specifically targeted by Trump’s racism and fascism, who no doubt are going to vote for the Democrats out of fear of what a Trump victory could mean for their communities and limited rights they may have. Rather, it is the activist base of our mass movements with whom we must engage in a sensitive, understanding and convincing way about the importance of supporting socialist candidates for president and vice president as part of a larger political struggle against being trapped by the capitalist political establishment and their politicians. Part of this political struggle is winning people to the understanding that independent mass mobilization, and mass action in the streets, like the kind of militant actions that the Black Lives Matter movement has been engaged in, is at this stage of the struggle, not merely as important as electoral politics, but most important. Regarding solidarity with the most oppressed sectors of our class, both in this country and around the world, Workers World Party believes that while revolutionary socialists have the job of exposing the injustice, the bankruptcy and the impossibility of reforming the capitalist system, and replacing it with socialism, our party also understands that the struggle to unite the workers and the oppressed of the world — a part of the struggle that is essential to any genuine socialist movement, and to wider socialist unity — must also be a struggle to forge solidarity, in both words and deeds, with the most oppressed sectors of our global class. To understand the impact of capitalist globalization on the working class is to see a contradiction, because it engenders division and competition for fewer and fewer jobs while at the same time laying the basis for even wider unity and wider class consciousness that transcends nations and geography, indeed, a global revolutionary class consciousness. We must do the opposite of that. Unity and trust within the working class and within our socialist movement can only be accomplished by making the issues of the most oppressed central to our movement. The failure to do this, we believe, was the biggest failure of the Bernie Sanders campaign, when he failed to recognize the centrality of the struggle against racism as embodied by the Black Lives Matter movement. And we can’t forget Trump’s racism when it comes to immigrants and Muslims. This year marks the 50th anniversary of the founding of the Black Panther Party in the fall of 1966. Some may want to point out the imperfections of the Black Panthers and their leaders. But it is an incredible fact that the Panthers were able to do so much and survive so long in spite of violent and ever-increasing state repression. The Panthers, with minimal support from the organized left back then, evolved into the most ideologically revolutionary expression of the Black Liberation Movement. As we celebrate that tremendous anniversary this year, let us be sure to remember the most enduring and most painful lesson from that period. 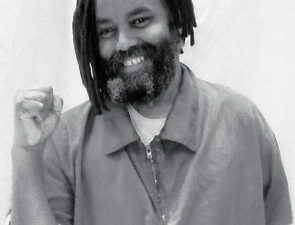 We believe that the ability of the FBI’s Cointelpro and all the forces of the racist capitalist state to jail, murder and otherwise disrupt and crush the Panthers reflected the unfortunate reality that the political movement was at best divided over supporting the Panthers against this repression. At worst, it did not do nearly enough to prevent the Panthers from being politically isolated. When liberation movements are isolated, it is far easier for the capitalist state to carry out its dirty work with the aim of weakening the overall revolutionary movement. 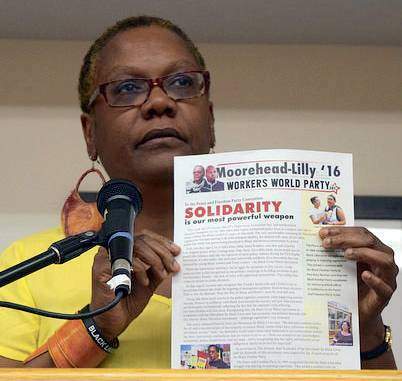 Workers World believes that the Black Lives Matter movement represents even more than a continuation of the age-old struggle against racist police terror. Indeed, we believe that the Black Lives Matter uprising, which is international in scope, reflects the awakening of a section of the working class that is being transformed by capitalist globalization and technology. There is an economic and social basis for the increase in police repression and murder in Black and Brown communities; it is the same economic and social basis for mass incarceration. The global changes in the capitalist system render larger and larger sections of the oppressed working class “expendable” as far as capitalism is concerned. To the extent that capitalism no longer needs their labor, they are subject to murder, prison, in effect, a war that threatens the very survival of Black and Brown people. When I and [my running mate] Lamont Lilly were able to go to Ferguson, just a few months following the youth rebellion against the police murder of Michael Brown, Black youth told me directly that they wanted to join a union in order to get a decent-paying job to help support their families, not to be targeted by police. As we are meeting here this weekend, the Fight for $15 activists are having a national convention in Richmond, Va., once home to the Confederacy, about the struggle against racism and the Black Lives Matter movement. To link the struggle against racism with the struggle against slave wages is significant, since so many low-wage workers are targeted for being who they are — a majority Black and Brown single mothers. If we are to erect a new, united, revolutionary socialist movement, our first order of business must be to find a way to maximize concrete solidarity with targeted communities. This, and only this, can be the foundation of the dawning of a new revolutionary socialist project. Long live international solidarity!